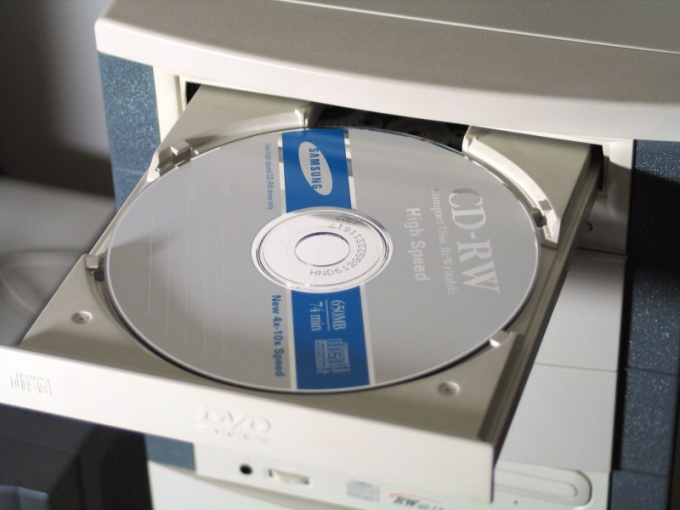 CD is an optical disc for recording and storing data. CD drive device that writes and reads data from the CD-ROM. After reading or writing the disk must be removed from the drive. To eject the CD, press the button on the front panel of the drive. In normal mode, then advance the tray where the disk is placed. To get the disk using Windows tools. Double-click the left mouse button on the icon "My computer". Locate the icon for the CD-drive, click on it to open the context menu with the right button and choose the option "Extract". After that, the drive tray should eject. If you can't open the CD drive, check if it is used by programs to read or write data. Wait for the completion of these programs, then try again. Maybe the program that was applied to compact-disc hovered. Use the keyboard shortcut Ctrl+Alt+Delete to call up the process Manager. In the tab "Applications" view, which tasks to use computer resources. Select the hung program and click "end task". If any programs do not access the CD-ROM and the tray, however, is not open, restart your computer and again try to open the drive. If you can hear the distinctive sound of the unwinding spindle, then the fault is not too serious – most likely, jammed the tray. Take a sewing needle or very thin knitting needle. Locate on the front panel of the CD hole is very small diameter. The ear forward, insert the needle into the hole perpendicular to the plane of the panel and push down on the release latch. The tray should be nominated. If the drive does not open, grab a flat sharp object (a scalpel or x-ACTO knife. Needle or knitting needle hit the tray release latch, and with a knife try to pry the door and pull it. Once you thus opened the drive and removed the disk, restart the computer.